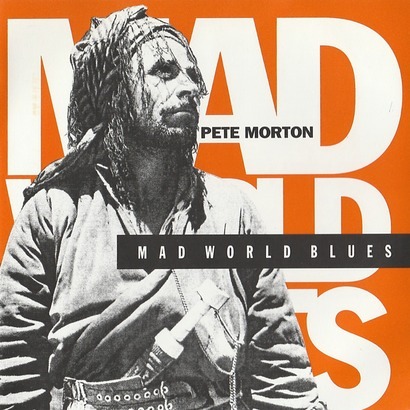 Folk singer Pete Morton is a songwriter and performer from Nottingham, England with a wealth of great songs and stage presence. His live performances are not only dynamic and intense, but also are approachable and funloving. He seriously believes there are ‘six billion eccentrics’ in the world and that particular song has become a signature tune for people everywhere. Starting out as a busker on the streets of Europe he has entertained all over the globe with his unique and involving style of songwriting. Pete sings from the heart, delivering songs that tell compelling stories and speak of the human condition from a very unique perspective. With a passionate strong voice and strident guitar style, his songs are an unruly mix of humour, politics, love and social comment, wrapping their way around the folk tradition. Go and see him! His songs and performance are a joy. 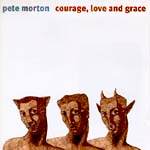 Pete Morton was voted "most promising artist" by Folk Roots magazine's readers in 1987 and is distinguished from his contemporaries not only by his stage presence but also in the startling energy which he displays in the interpretation of both his own songs and the many traditional songs he has breathed new life into. Tracks: The Prisoner / Simple Love / Water from the Houses of our Fathers / The First Day / The Little Boy's Room / Another Train / Lucy / The Old Grey Moon / One Big Joke / Girls Like You / River of Love / Somewhere in Love / Live Your Life. 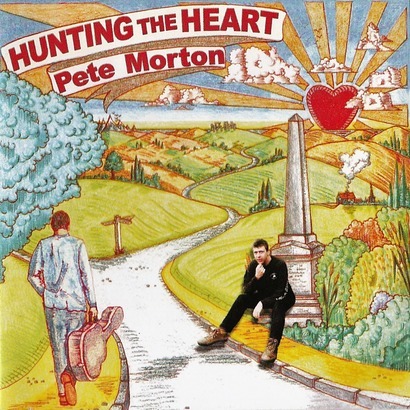 A second album from Pete Morton, this time with a band, Roger Wilson (fiddle), Simon Edwards (button accordion, piano), Hester Goodman (ukulele), Mickey Firebird (electric guitar). Tracks: Mad World Blues / Songbird / Kurdistan / It Is What It Is / Down To Earth / John Barleycorn / People who Go Under / Patriotic Claptrap/ Malnutrition at Standing Rock / Keys To Love / Crazy Man / Katie. 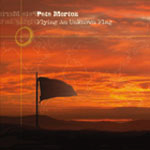 Here is Pete Morton's third album. 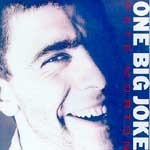 The first two "Frivolous Love" (HAR 001) and "One Big Joke" (HAR 004) were unequivocal successes on every level with universally glowing reviews and Pete being voted artist/songwriter most likely to.....' all over the place. He's been in great demand throughout Europe and North America since these early triumphs. Pete recorded this album with a band line-up of two acoustic guitars, fretless bass and drums, helped along by some fabulous backup in the vocal department from Sally Barker. Tracks: Change / Heartland / On Your Side / Family Tree / Through it All / Learning of a Miracle / From Ireland / One Truth / Courage, Love and Grace / Cheating Man / Love Me in Eden / The Lion and the Lamb / The Harrowing of Pride / Eternity. 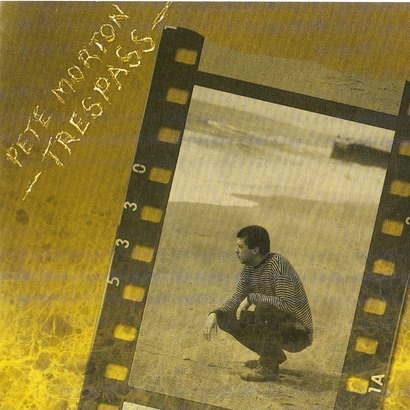 This Pete Morton album is both considered and extremely powerful - very strong songs and performances from Pete himself and some very fine session musicians (Sally Barker, Karen Tweed, Roger Wilson, Tom McConville and Mike Willoughby). 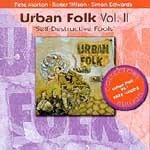 PETE MORTON, ROGER WILSON, SIMON EDWARDS - "Urban Folk Vol II - Self Destructive Fools"
VOL I: Love's Trainee (part one) / The Fox / Hey Joe / Lord Randall / Absent Love / Old Joe Clark - The Louisiana Two Step / Delia / Bleak Mist / Rambleaway / False Bride / Shadow of an Absent Friend / It Takes a Lot to Laugh, It Takes a Train to Cry. 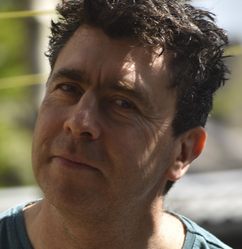 Pete Morton has finally recorded a collection of all traditional songs - just guitar and voice. It's been requested many times over the years - and now he's finally done it! Tracks: Drink to me Only / Hunting the Heart / Twitching Net Curtains/ Forgiveness Hill / Constant Motion / Madam or Sir / Battle of Trafalgar / Maybe Nothing's Spoken / Deep Blue Sea / The Desert / Thanksgiving. 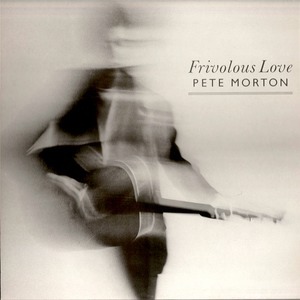 A fine album of great Pete Morton songs and one old standard (Drink to me Only) given the special Morton treatment. Pete is joined on this recording by Andy Cutting on accordian, Tom McConville on fiddle and Julie Murphy on vocals. This is a collection of 14 songs, a mixture of Pete's own material and traditional songs taken from all his Harbourtown albums to date. The CD includes an enhanced sector which will play on PC and Mac platforms with MP3 audio of 19 songs and a full discography. 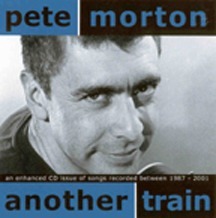 Eleven Pete Morton songs recorded with only vocal and guitar, just as you hear Pete in concert - no frills! Pete's vocal and guitar are joined by Roger Wilson (fiddle, guitar, mandolin), Neil Segrott (bass) and Chris Parkinson (accordion, harmonica). "This latest collection of original songs from Leicester’s finest effortlessly maintains the standard he’s set over the years. 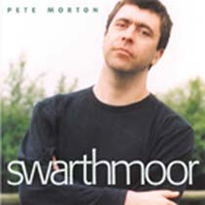 Although the immediate impression is perhaps of a more relaxed set than Pete’s previous offering (the mighty Swarthmoor), there’s no lack of depth or commitment in the writing. The songs speak directly for themselves in exactly the way good songs should – reflective commentaries that have no truck with the empty posturing of the soapbox yet are ideally able to make meaningful commentaries on our lives.